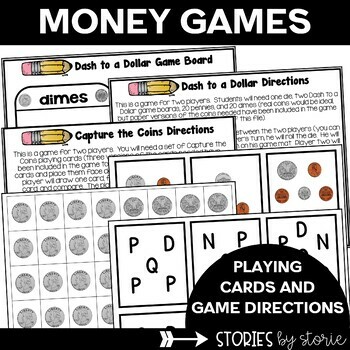 The math games and centers in this pack target addition and subtraction, counting and comparing coin combinations up to $1, and working with a hundreds chart (1-100 or 1-120). 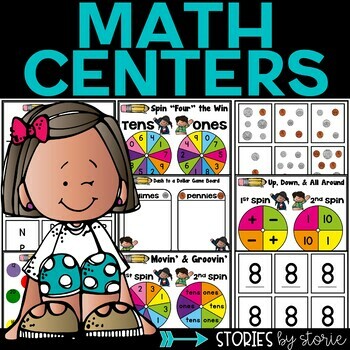 These math games and centers were created to use with my second graders at the beginning of the year, but many of the skills could work well with first graders, too. I have included a list of the Common Core standards for first and second grade that align with these games. Four addition games are included. The games included are Sums Showdown, Target Twenty, Three to Twenty, and Breaking 50. Each game has a set of directions with a visual example for students. Four subtraction games are included. The games include Subtraction Showdown, Zoom in to Zero, Tic-Tac-Toe, and Subtraction Slide. Each game has a set of directions with a visual example for students. Four games that work with a hundreds grid are included. The games include Seeing Stars, Spin “Four” the Win, Movin’ and Groovin’, and Up Down, & All Around. 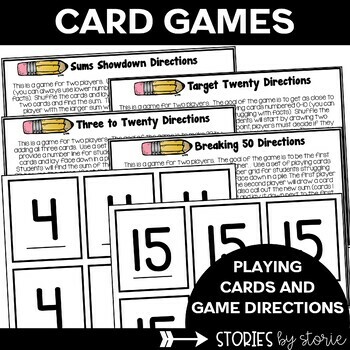 Each game has a set of directions with a visual example for students. This game has students counting coins, trading pennies for dimes, and racing to see who can reach one dollar first. This game has students counting coins and comparing totals with a partner to determine who has the larger total. 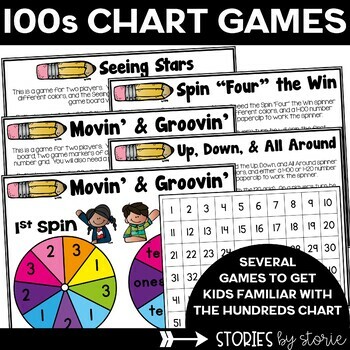 I have added copies of hundreds charts, number lines, playing cards, and coins just in case. The preview should give you a better idea of all that is included. However, please don’t hesitate to ask questions about this product prior to your purchase.